Not many of us realize that carpets can house a number of pathogens and germs. However, this is a reality that must not be ignored. Carpets experience lot of for traffic and they catch all the debris that gets stuck on to our shoes and slippers. This debris has numerous bacteria which can cause diseases and allergies. Regular vacuuming only removes the top layer dust and other particles. But to remove bacteria and molds a deeper cleaning is needed. This is something that can be tough to do yourself and professional help can make the task easy for you. At ACE we understand how important it is to have clean carpets as a clean carpet plays a great role is ensuring that your home is healthy. If carpets are not clean then the various pathogens and pollutants present in the carpet become air borne when we walk on the carpet. Then the indoor air becomes full of allergens. If you have kids then they might get affected by this allergens are kids are most susceptible to allergies. Regularly cleaning your carpets is very important to prevent it from housing bacteria and molds. For those looking for services on regular basis for Carpet Cleaning in Moore Park we have special packages wherein we clean your carpets regularly and give your carpets a new and refreshed look. Our packages can be customized according your needs and so you can pick and choose the specific services according to your needs. For those who have a hectic work schedule and are unable to find time to clean their carpet regularly, ACE can be of great help as we can take away all your worries regarding carpet maintenance. If you have placed furniture on your carpet, then do not worry at all. We will remove all the furniture carefully before cleaning the carpet and then replace it after we have done our work. If you wish to see visible difference in your carpet then hire ACE for all your carpet cleaning needs and we assure you that you will not be disappointed. When it comes to pick products for cleaning carpets or for Carpet Repairs in Moore Park, only the best ones must be chosen. Whether it is the cleaning solution or the cleaning equipment, good quality ensures effective results. ACE is also committed towards using methods which do not cause any harm to the environment and so we use the best quality and eco-friendly products for cleaning your carpets. This ensures that the chemical solutions do not emit any toxic fumes and irritate you or your loved ones. We also understand that carpet fiber is delicate and so only mild cleaning solutions should be used to clean. 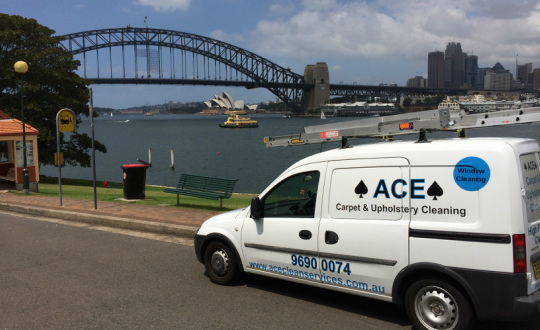 If you want to hire someone for Carpet Cleaning in Moore Park and you want to create a healthy home by having clean carpets then give ACE a chance to serve you. Call us for a free quote on 0415 096 801 or write to us at scottpope01@gmail.com.